Manchester United’s bitter European rivals seem to have snatched the interest of their long-term target Antoine Griezmann. The French international has been linked with a move to the red side of Manchester for several transfer windows now, and the Red Devils were even close to sealing the deal with Atletico Madrid for his services. 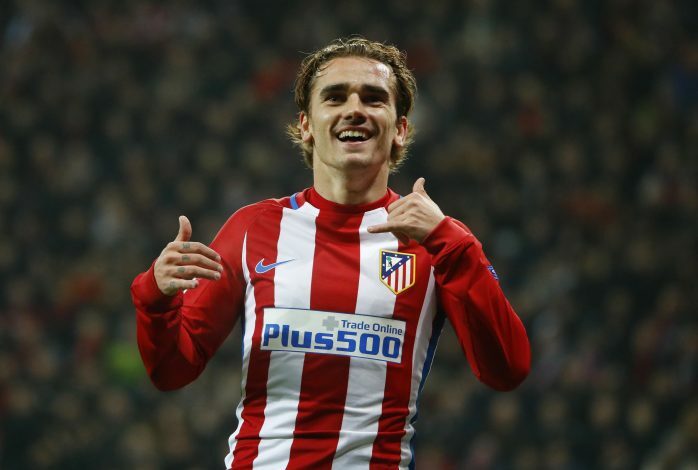 Unfortunately for them, the Madrid outfit’s unexpected transfer ban ultimately saw Griezmann remain at the Spanish capital, despite reports strongly suggesting that his move to the Premier League was imminent. United then went ahead with the signing of £75 million-rated Romelu Lukaku instead. However, Jose Mourinho was expected to make yet another attempt at signing the France international next summer. But that plans now seems to look hopeless, as Barcelona have agreed personal terms with the Atleti talisman, according to Le 10 Sport. The report claims that the Catalans have beaten the Premier League giants in grabbing the star forward’s interest. Their intent is understandable, due to Luis Suarez’s display of poor form of late. On the other hand, the 26-year-old now has the attention of two European giants, and could easily make his pick among them. Though hardly any player could reject the likes of Barca, Mourinho may manage to pull off something unlikely if given enough time and budget.